Good morning Quick Quotes readers! Alicia here today continuing the patriotic celebration all week long! 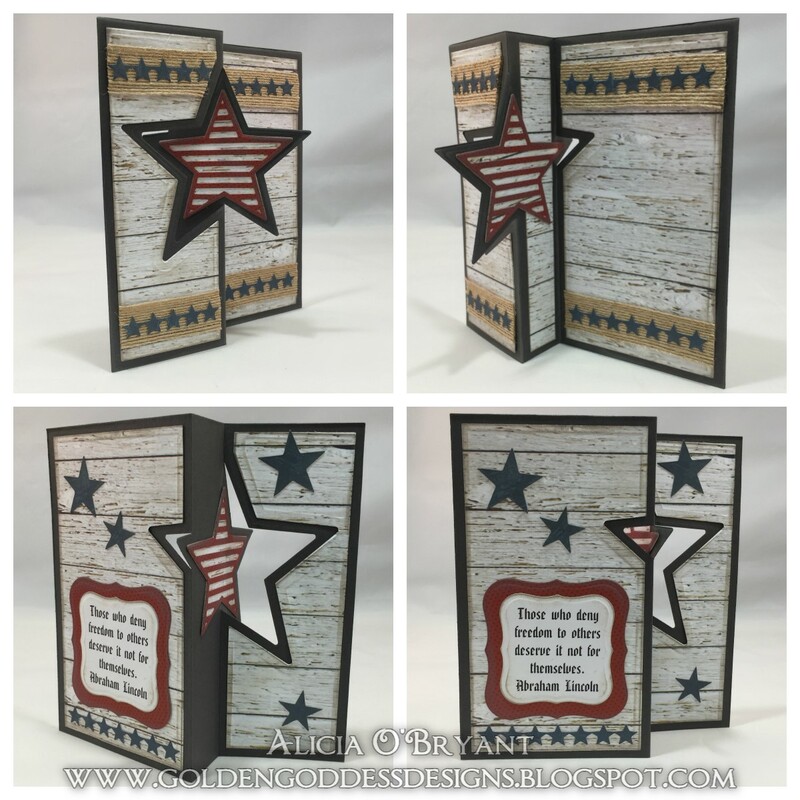 I have for your inspiration a rustic Americana card that I created with Independence Day in mind, however, I didn't exactly name that holiday. 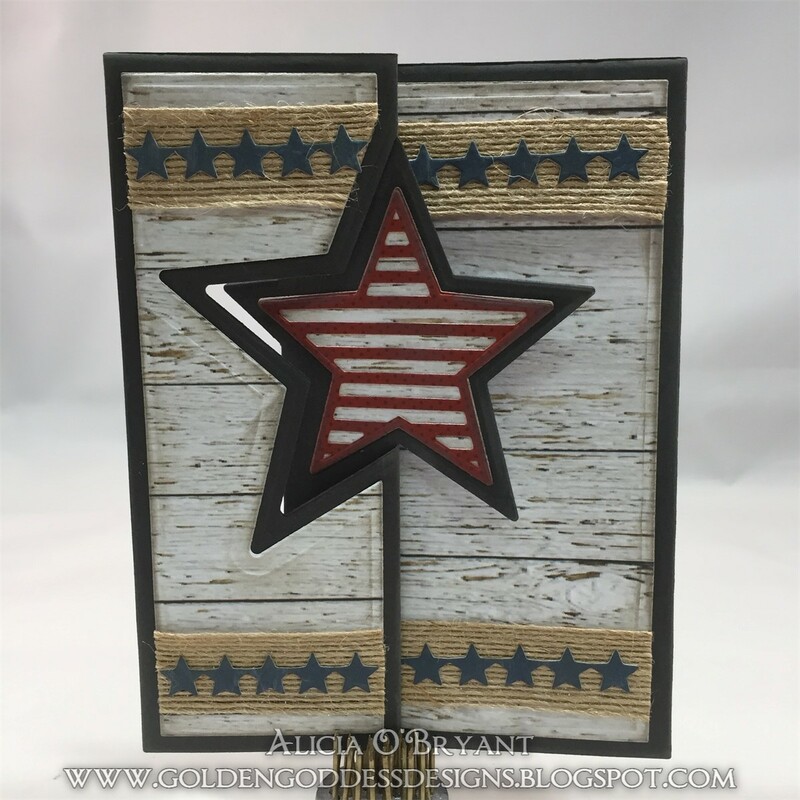 I think this card could be used for any other patriotic holiday or for honoring a veteran. 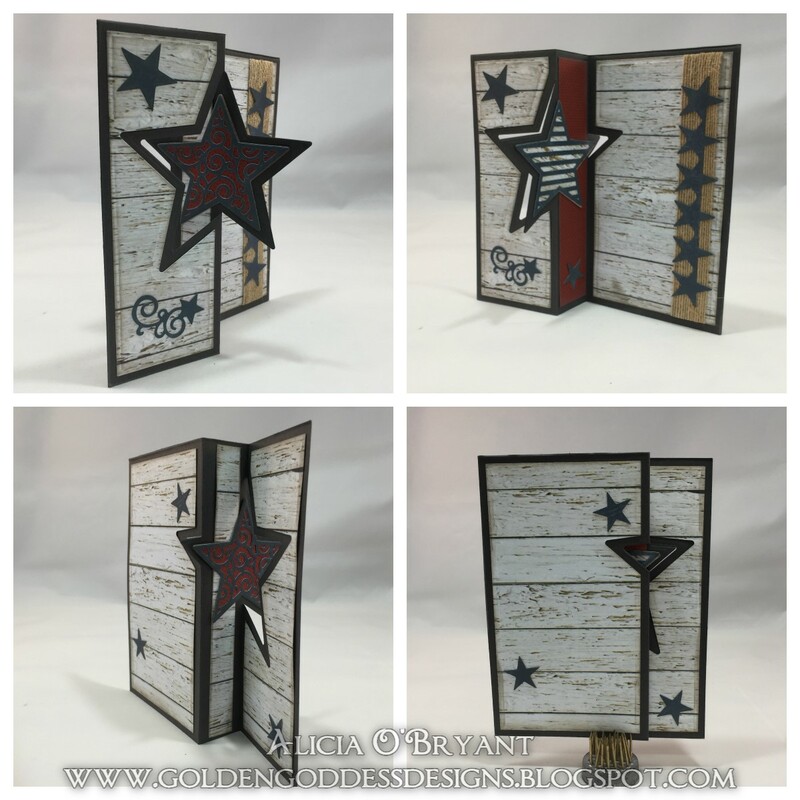 I used a new card die set I found on clearance recently. 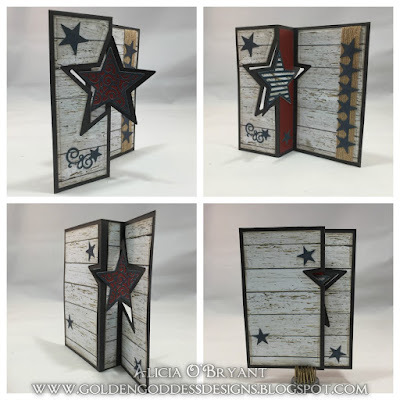 I could not wait to used the Farmhouse 104 for a background with red and blue accents. After I selected the perfect embellishment, burlap ribbon, I cut all the paper pieces. 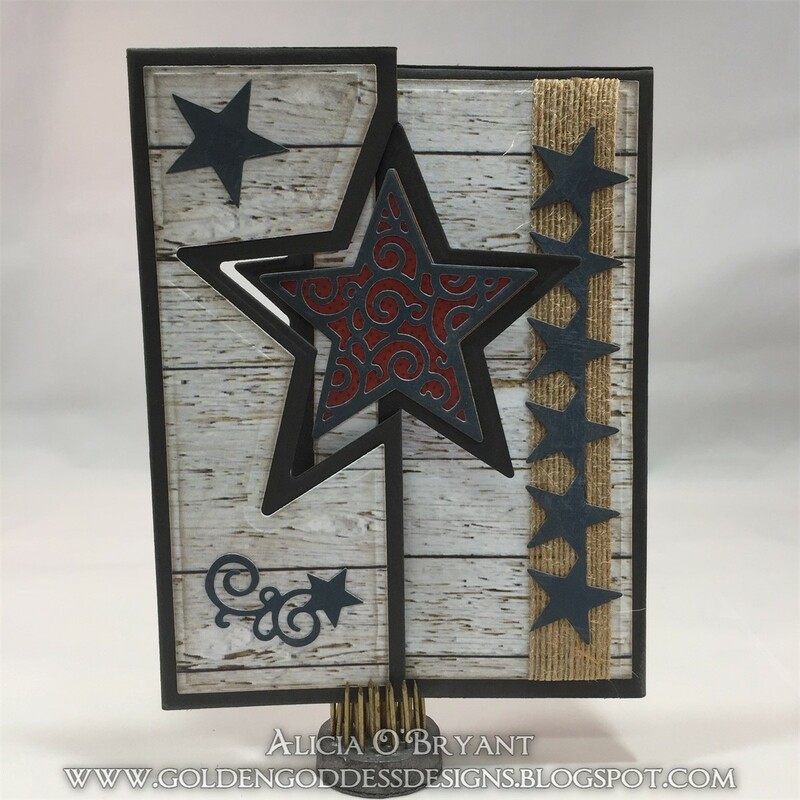 I inked up all the edges with Coal Miner PowderPuff Chalking Ink to match the dark gray card stock I used for the base of the card. All that was left was to stick it down. I used my PIXMA iP8720 13x19 Wireless Printer to print the sentiment I found on the web. 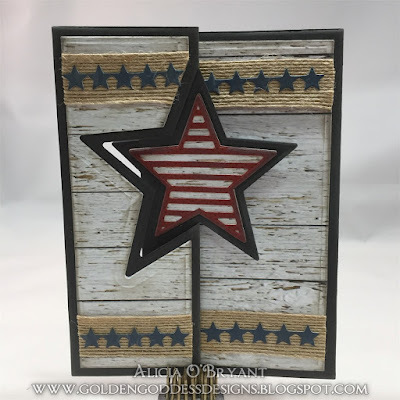 I don't have many Independence holiday stamps so printing my own was perfect. The Lincoln quote is very universal for use with any Patriotic or Americana theme. I was thrilled to be able to print it in a font from my own computer. 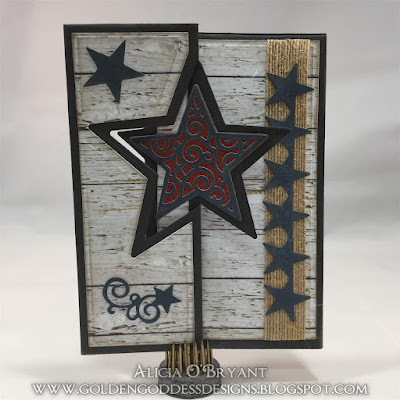 I wanted to try more dies in the set so I made a second card using the swirl die instead of the stripes. I did not use a quote on this one because on the first one my son asked "Mom, where do you write?" So I left this one with some open space for message writing. I also gave the pic-a-boo section a pop of color with the Urban Oasis 102 paper (red).